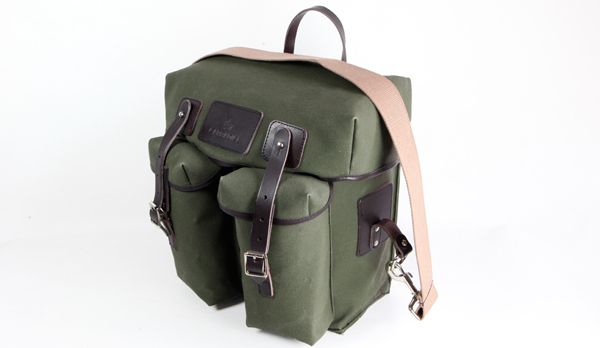 There’s a great variety of panniers available, although you wouldn’t think it given the popularity of Ortlieb bags. What I’ve done here is picked out a whole bunch of great bags from small-handmade to large-scale manufacturers to showcase the differences in price, weight, features, sizes and styles. I encourage you to have a look into each brand, as I haven’t described every model. It’s worth noting that there is no perfect pannier for all occasions. 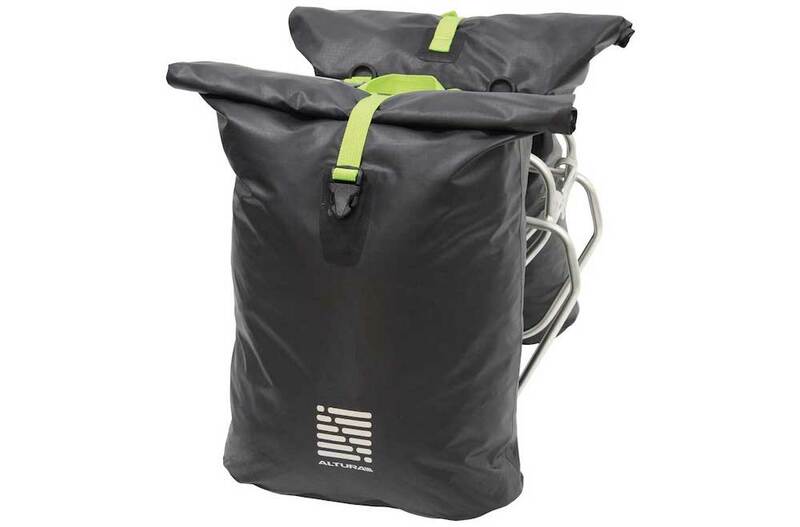 You will be trading off between the durability of construction materials (as well as whether it’s waterproof or not) and the weight of the bags. 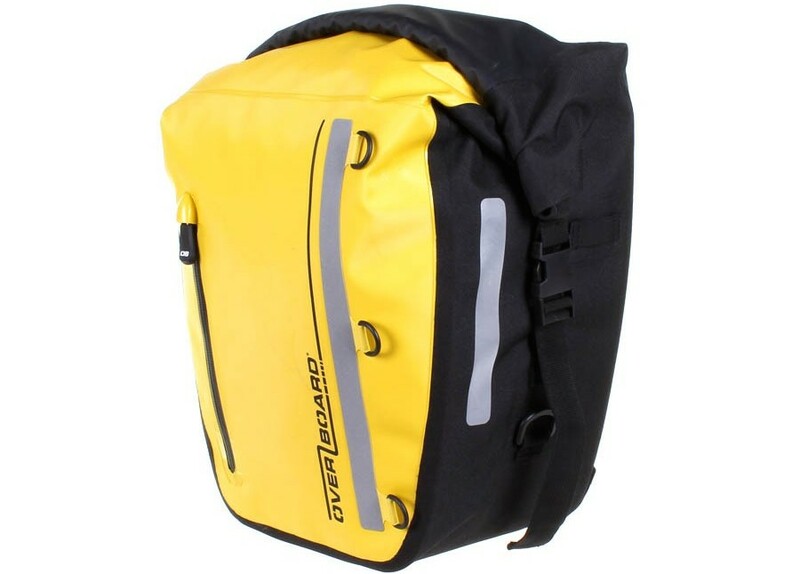 We also feature a list of convertible pannier backpacks for wearing on and off the bike HERE. 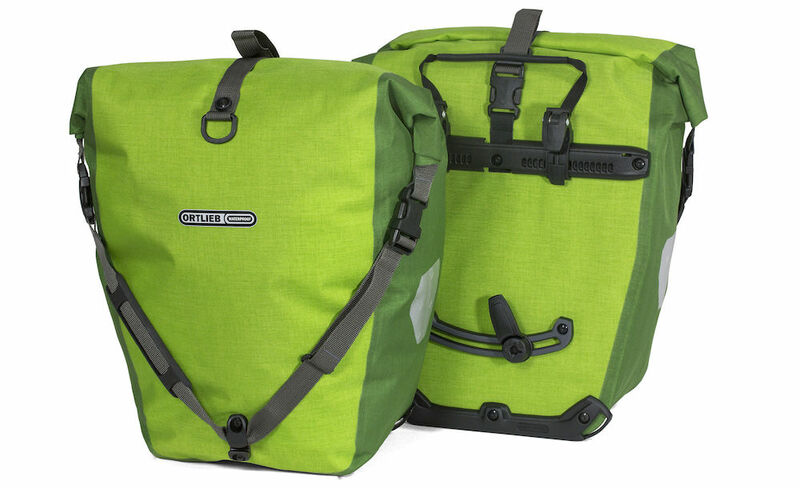 With a 480g total weight, the Ultralite Packable Panniers are super lean. What’s more impressive is that they are waterproof too! And when you don’t need to use them you can roll them up and pack them away. Magic. The Dry-Lites are some of the lightest panniers in the world at 454g for the set. They will go up a hill faster than the other bags here! The Tempest Hydracore bags offers a waterproof design, plus laptop sleeves, lots of pockets and straps. Rixen and Kaul clips keep the bags on your rack. Blackburn has been putting together a big touring and bikepacking range over the last few years. The Barrier bags are waterproof rolltop bags with an external pocket. The clips are adjustable and the bag can be used with Blackburn’s interlock system, ensuring the bags can’t be removed from the rack unless you use a key. The Central Rear Panniers are relatively small and compact, featuring laptop sleeves, pockets and zips for all your goodies. They are water resistant (but come with a waterproof cover) and compatible with Blackburn’s interlock system. These are best for round town. 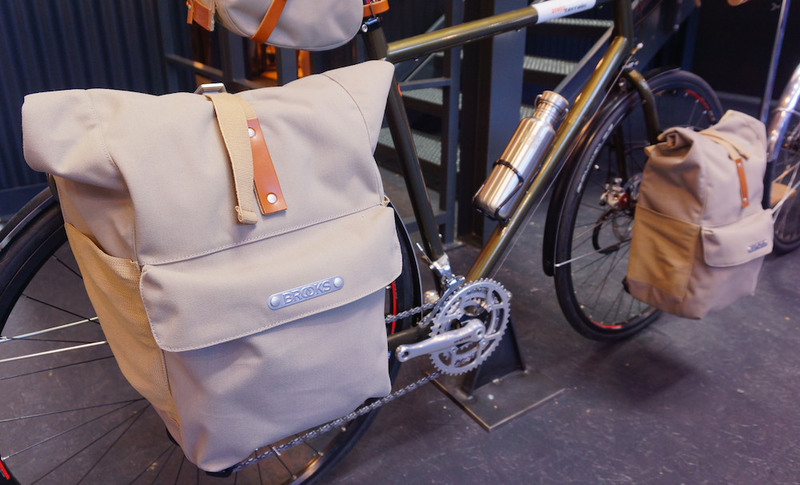 These Brooks panniers look fantastic and work very well thanks to their rolltop design, waterproof materials and Ortlieb clips and fittings. They are an ideal combination of style and function! 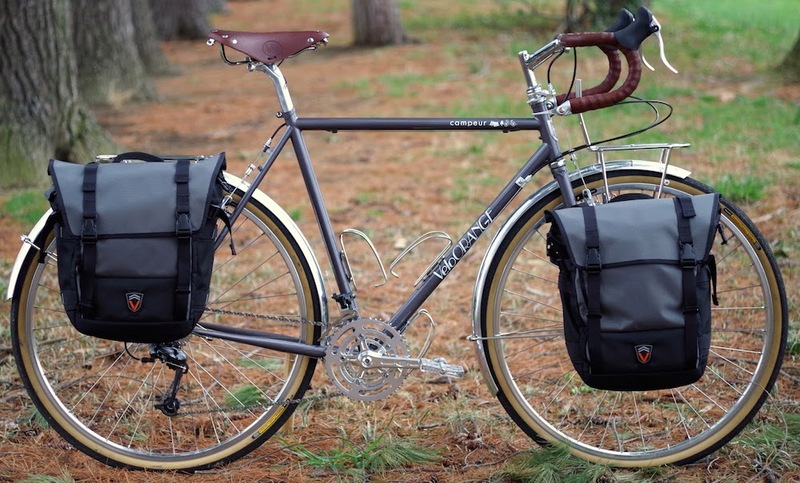 This is one of the most classic-looking panniers you’ll find. It uses a waterproof cotton material and is finished with proofed cotton linings, cast metal fixings, thick vegetable tan leather and leather bindings. 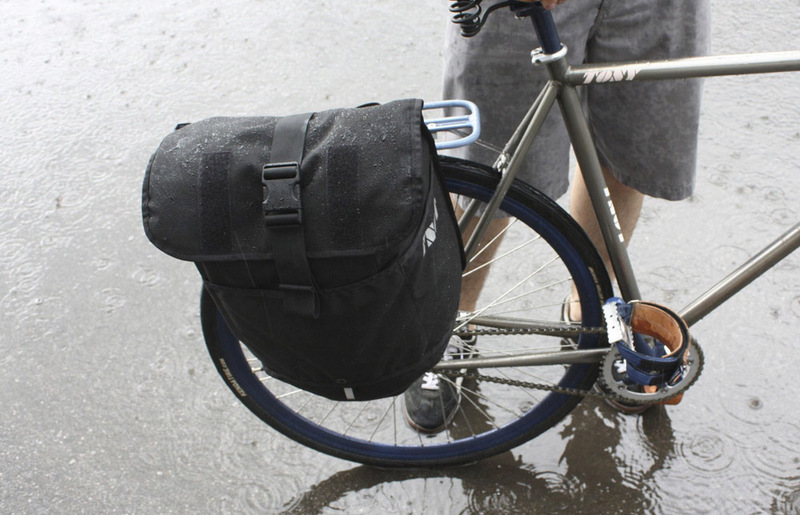 The Rolltop 20 is a waterproof pannier with a built-in laptop sleeve. Interestingly it comes with a specially-designed frame which is mounted to your rack, allowing the bag to be built without any clips or hard wear. 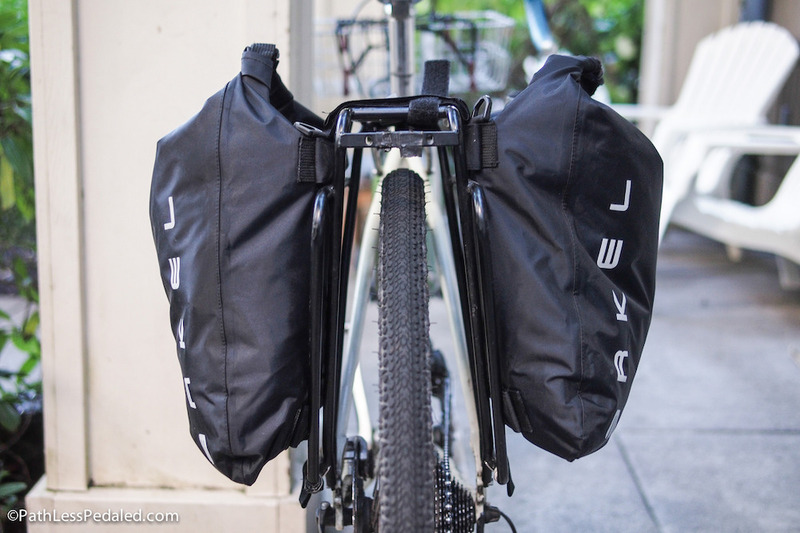 This results in a pannier that can be comfortably carried off the bike. 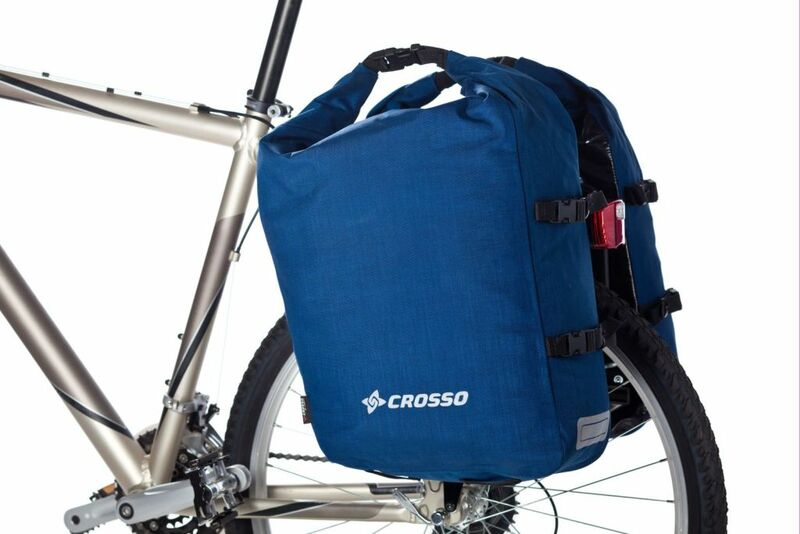 Crosso bags are made in Poland and are considered to be a good alternative to Ortlieb or Vaude. They use a simple hook and bungee system and are designed to offer a lot of heel clearance. Their largest panniers get to 30L each! 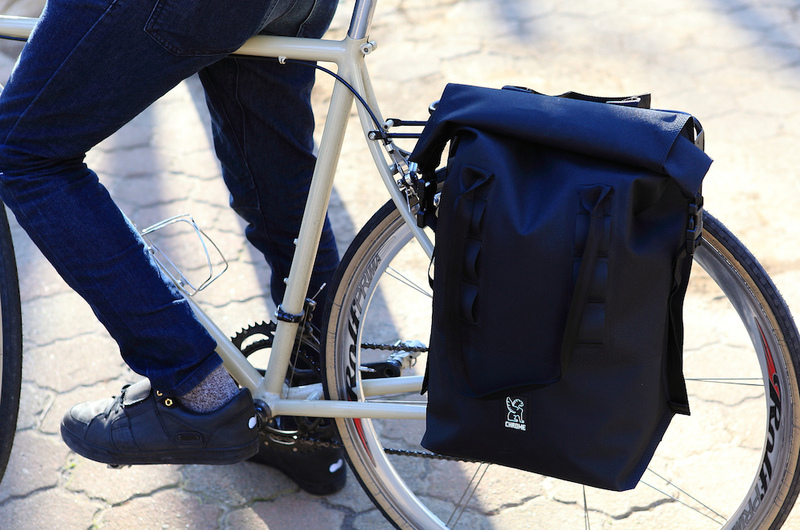 These Japanese-made bags are designed to be both a backpack and a pannier. Simply pull out the shoulder straps from the pocket and you’re good to go. 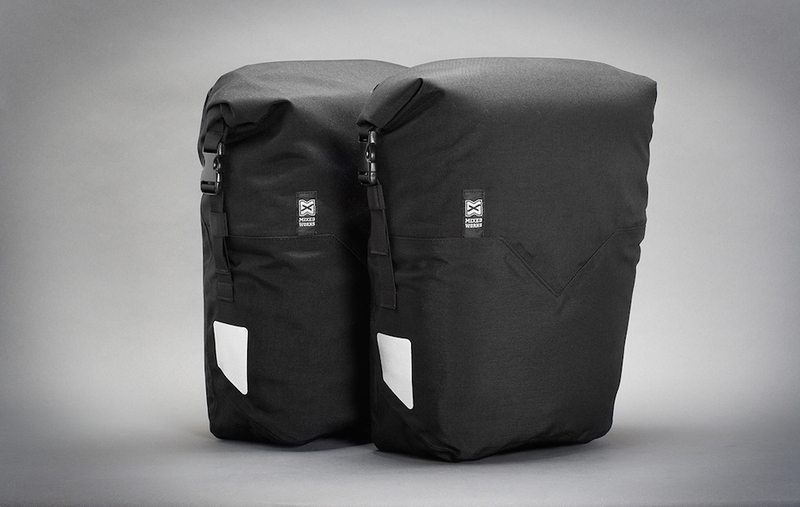 The outer is made using canvas, and a waterproof inner keeps your gear mostly dry. 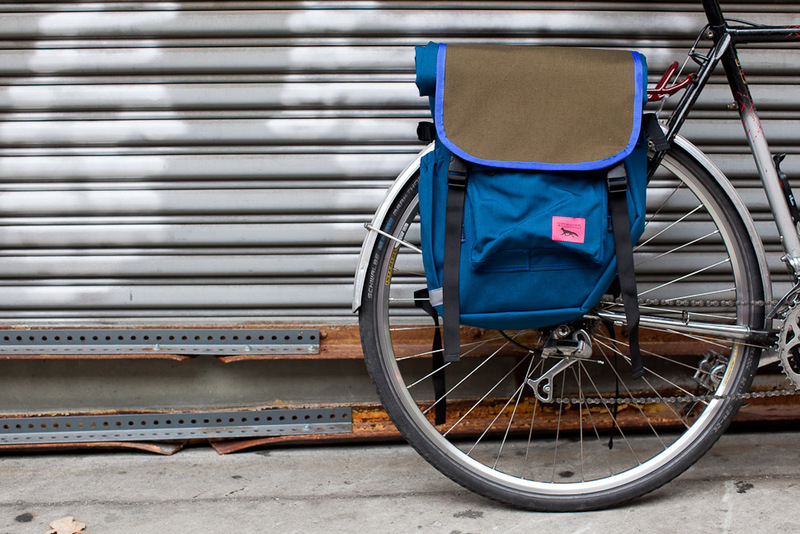 You can get this pannier in five different colours. 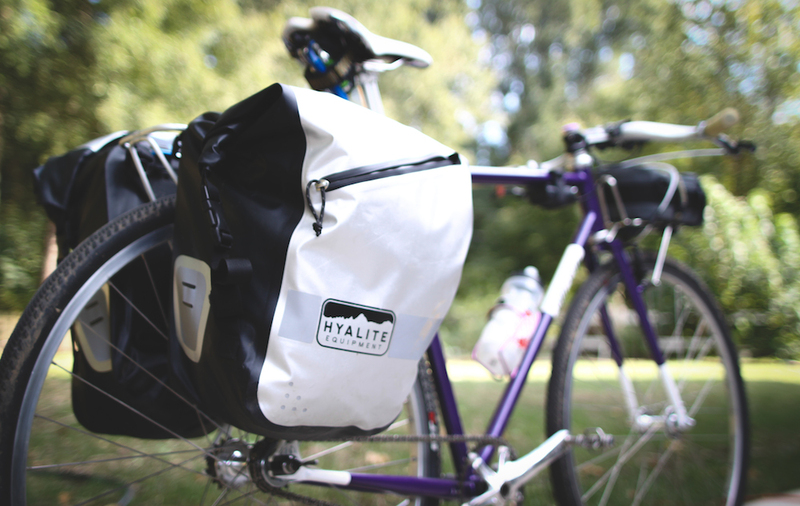 These panniers by Hyalite (related to the now defunct Pacific Outdoor Equipment) are both waterproof and comparable in weight to Ortlieb’s lightest offerings. The panniers taper back in order to afford more heel clearance from pedal strokes making them suitable for bikes with shorter chainstays. Like other bags on this list, the clips are made by Rixon and Kaul. 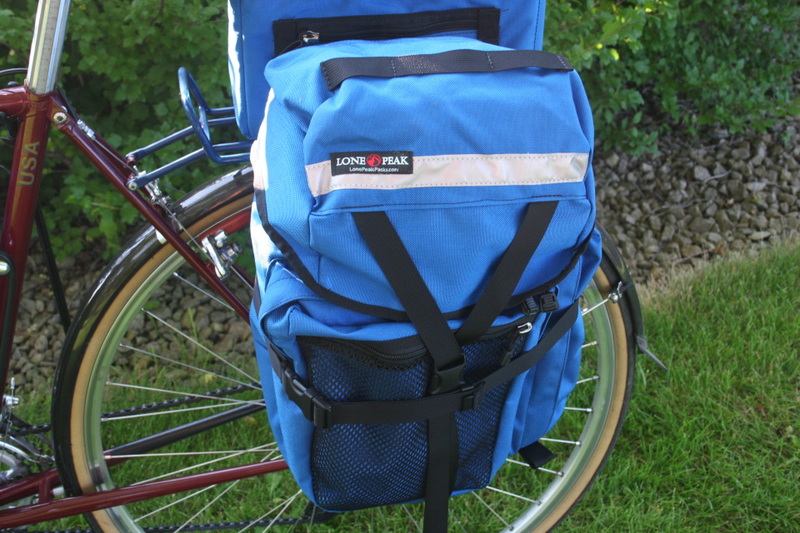 Lone Peak panniers are made near Seattle in the USA. The Superior isn’t waterproof, but comes with a rain cover to pop on if needed. Most of Lone Peak’s panniers have lots of external pockets and straps which allows for quick access of your bits and pieces. This little known company (outside Germany) produces some lovely gear. High-quality clips, straps and materials make this a product designed for life. 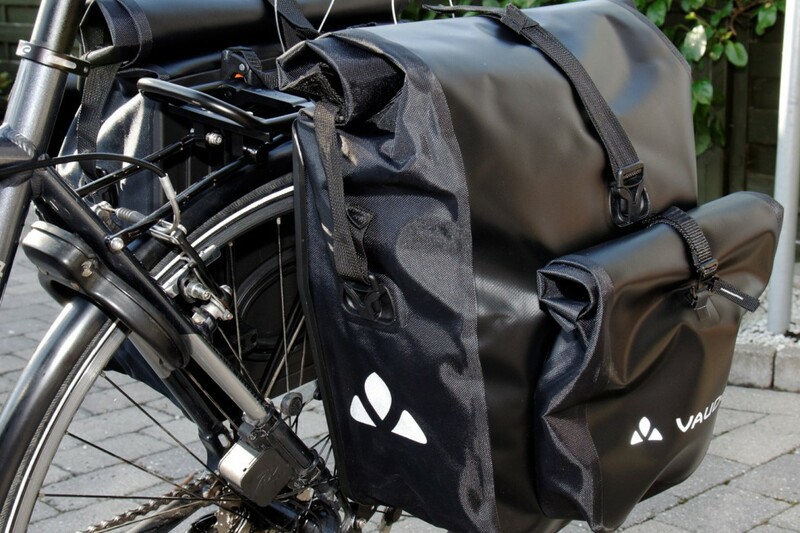 The Blackbird is a simple rolltop pannier made by Crosso in Poland. Like other bags on this list, the clips are made by Rixon and Kaul. The minimalist styling of these bags is lovely! 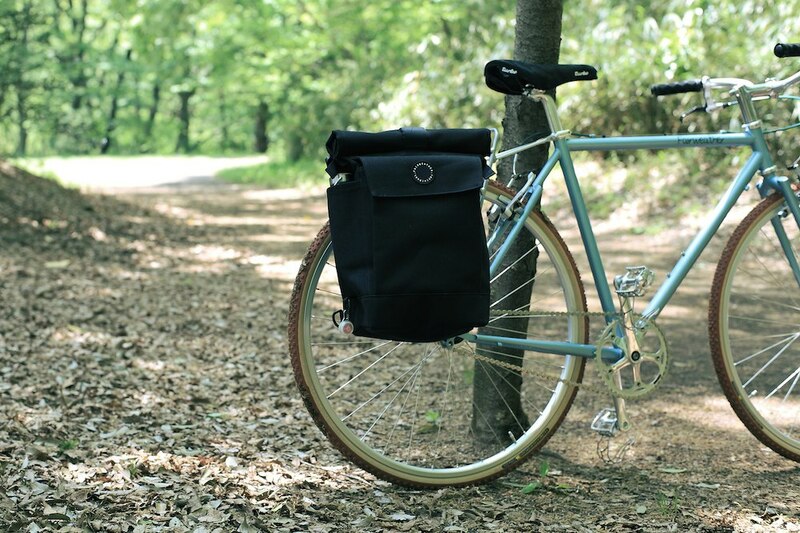 The Backroller Classic panniers set the standard for bicycle touring. The rolltop design allows you to cram more than 21 litres into each bag and the durable fabrics and materials last decades. People have ridden all over the world with these bags! The Backroller Plus are the same great design as the Classic, but use lighter weight fabrics to remove 220g from each set of panniers. It is my experience that the Plus material is equally as durable as the Classic. I’ve used my Backroller Plus bags in over 40 countries, although I have seen examples of bags that have torn. The Backroller Pro XL bags are new for 2016. They feature a rolltop design, a front pouch and are constructed using both the Classic and Plus materials. They have a 70L capacity! Here’s my write-up about why you may need the Backroller Pro bags. The OverBoard gear is all pretty bombproof, 100% waterproof and cost-effective. Here’s a unique product. 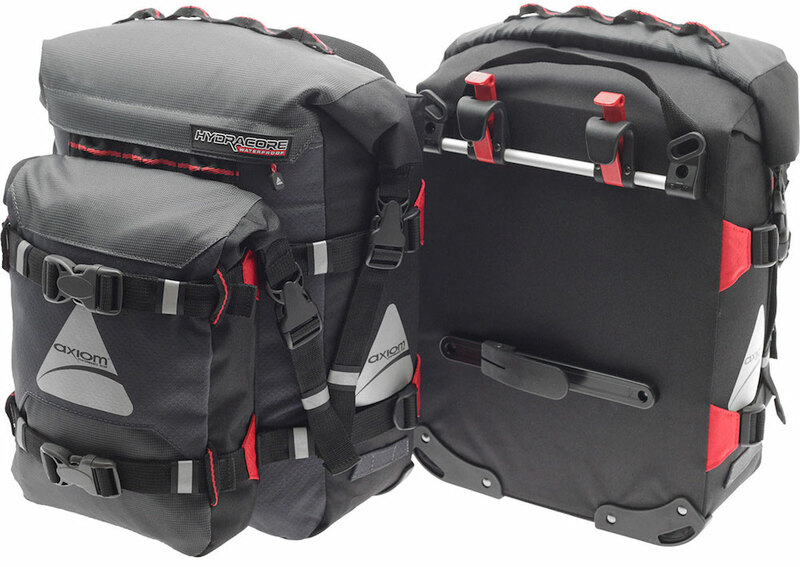 It’s a front and rear set of panniers which convert into a single hiking pack! Richard has been making these bags since the early-1980s, using two aluminium struts for rigidity as a backpack. There are nine compartments for storage on the Elite model, and three if you’re using just the rear panniers. 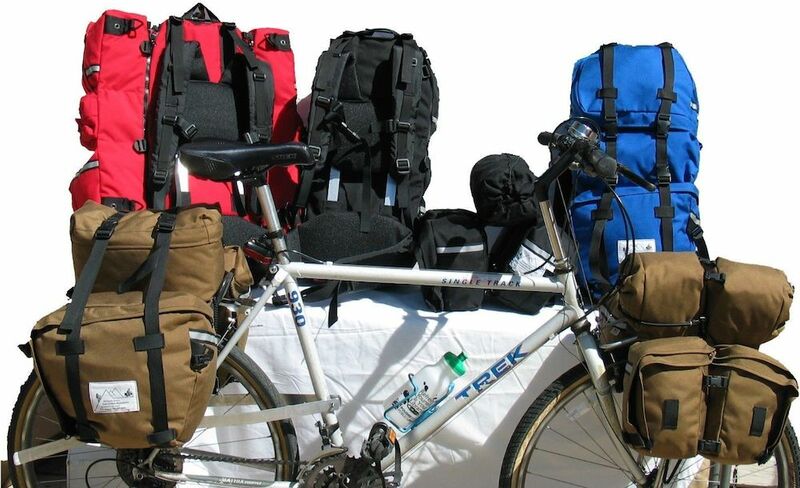 It takes about five minutes to convert the panniers into a hiking pack, and vice-versa. 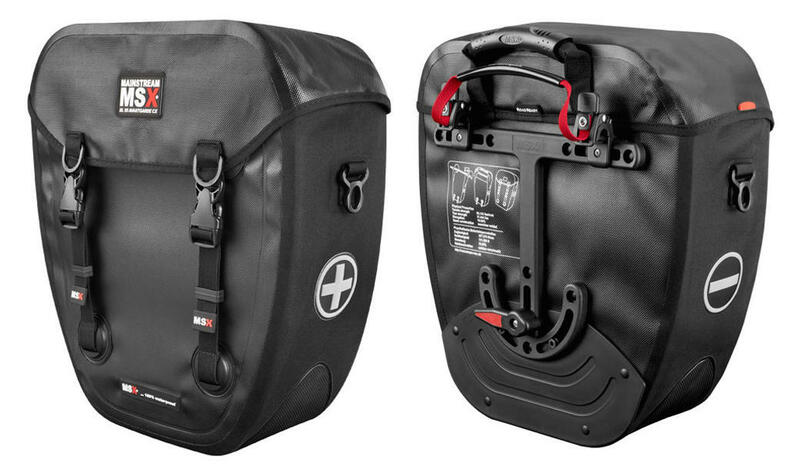 The Salsa Touring Panniers are a new product for 2015. 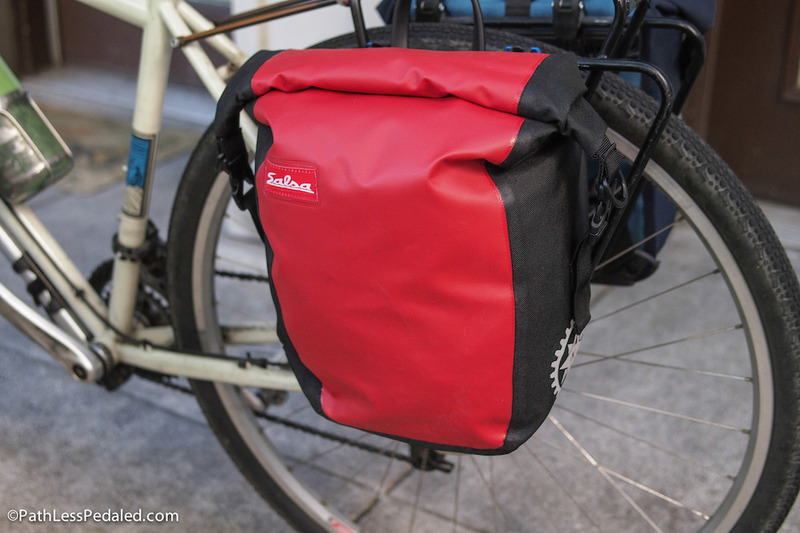 These rolltop waterproof bags have a secure clip system which looks to be adjustable enough to suit most racks. Their choice of material is heavy but durable; great for lengthy tours. Like other bags on this list, the clips are made by Rixon and Kaul. Swift have blossomed into an awesome custom pannier manufacturer. Their bags are all are water resistant and many offer heel clearance so that you can use them on bikes with short chainstays. 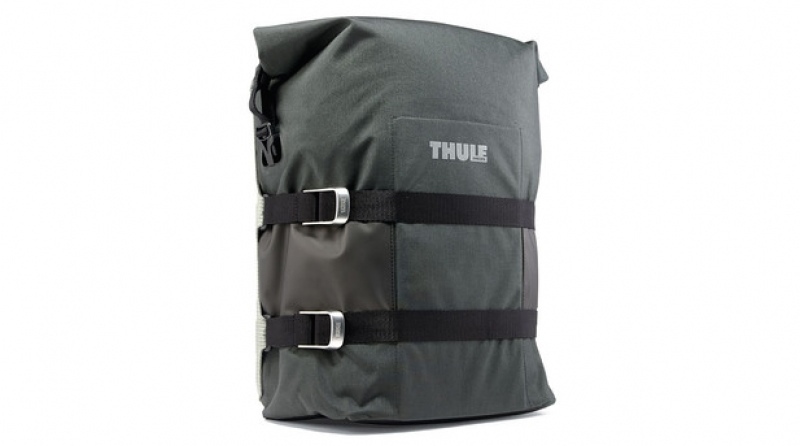 Thule have put together some really nice bags for their ‘Pack ‘n Pedal’ range. These Touring panniers have vanishing hardwear at the back, ensuring no hooks dig into you when you use the pannier with the shoulder strap. A rolltop design allows easy bag access, and Thule have incorporated a mesh pocket to put your LED light so that it can shine through the material. 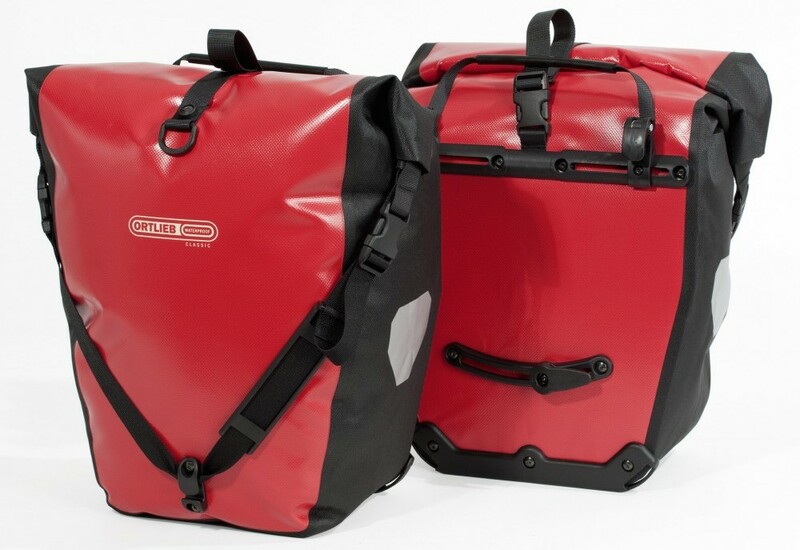 Vaude is the main pannier competitor to Ortlieb. The materials they use are most similar to Ortlieb’s Classic gear. What you tend to get with Vaude is a bit more space in your bags plus a pretty decent range. The Retro 20 panniers are made in Seattle USA. They employ high-quality, waterproof materials in combination with Rixen and Kaul hardwear to produce a solid and attractive bag. The PanYay! 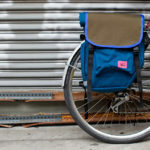 is an adjustable, durable pannier that is made-to-order and can be colour-customisable. Don’t forget to check out our list of bikepacking bags HERE and pannier backpacks HERE. 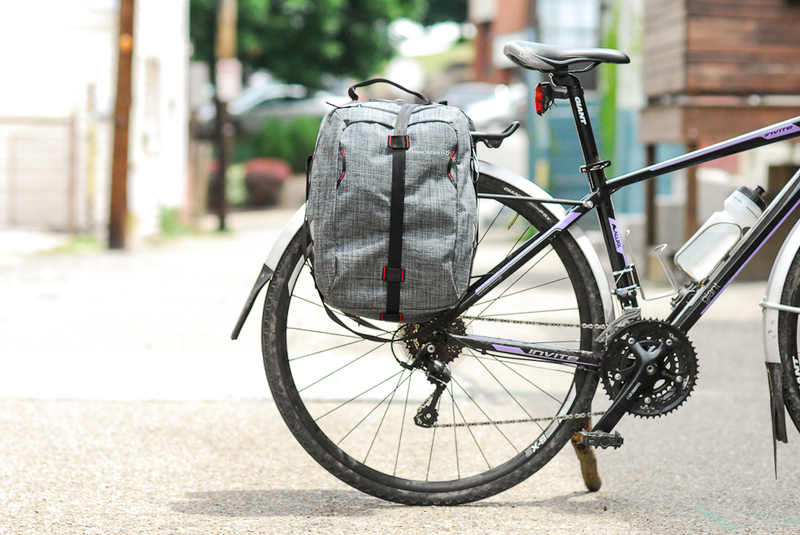 Panniers vs Bikepacking Bags: Can Panniers Actually Be Lighter? 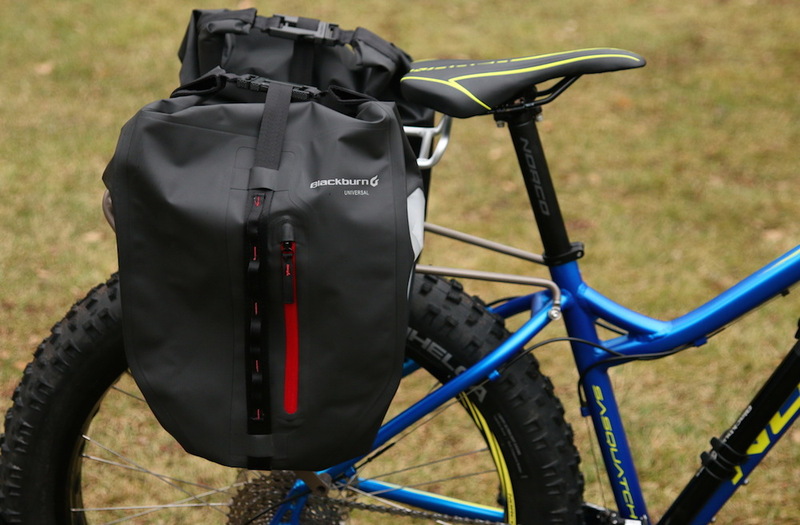 Vagabond Bicycle Bags Go Modular By Making BikePacking Bags That Turn Into A Hiking Backpack!